This fan art sticker is of the iconic Wrigley Field sign in Chicago. 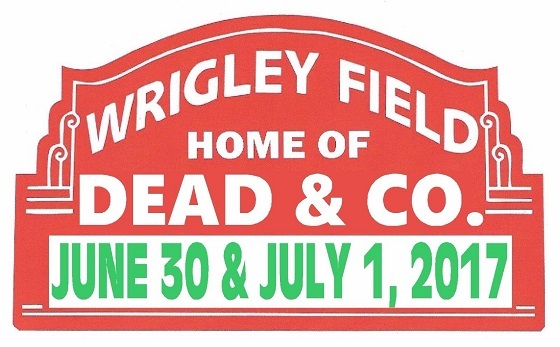 It pays tribute to the Dead and Company 2017 summer concerts at the ballpark. It measures approximately 3" x 5" and is waterproof. It's an indoor or outdoor sticker.